The alien world of Sixam is not necessarily where you want that lovely hair or beautiful gown to be showing up on newly spawned aliens. This batch fixer will fix the tags on your custom CAS items so this doesn't happen anymore. It will create a full backup of every item it updates and it will let you know how many items you had that required updating. 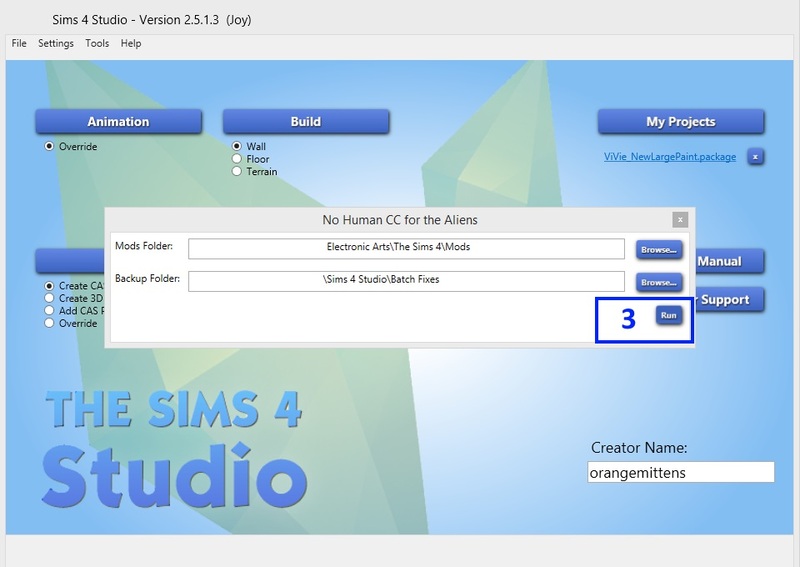 Sims 4 Studio 2.5.1.3 (Joy) or above. 1. 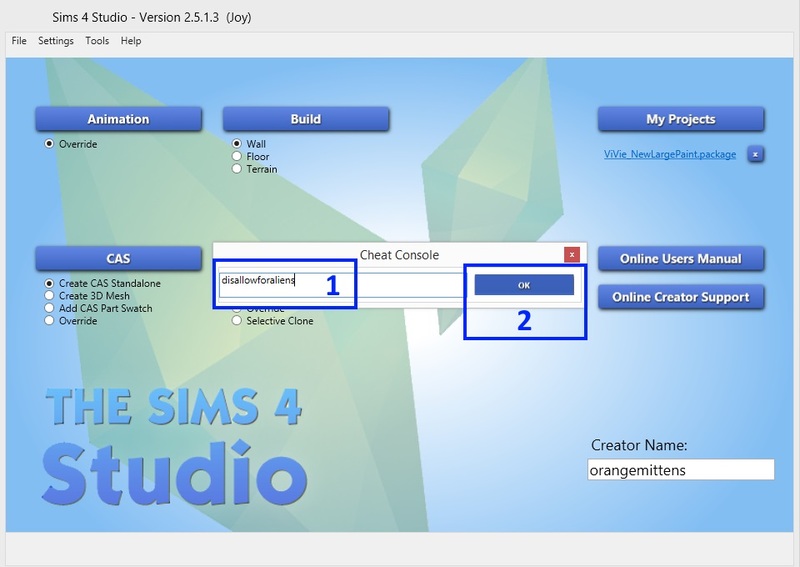 Open Sims 4 Studio and click the Ctrl, the Shift, and the c keys on your keyboard to bring up the Cheat Console. Type disallowforaliens into the cheat console. 3. The next popup box will allow you to choose the folder you point the batch fixer at and the location where you want the backup folder to be created. 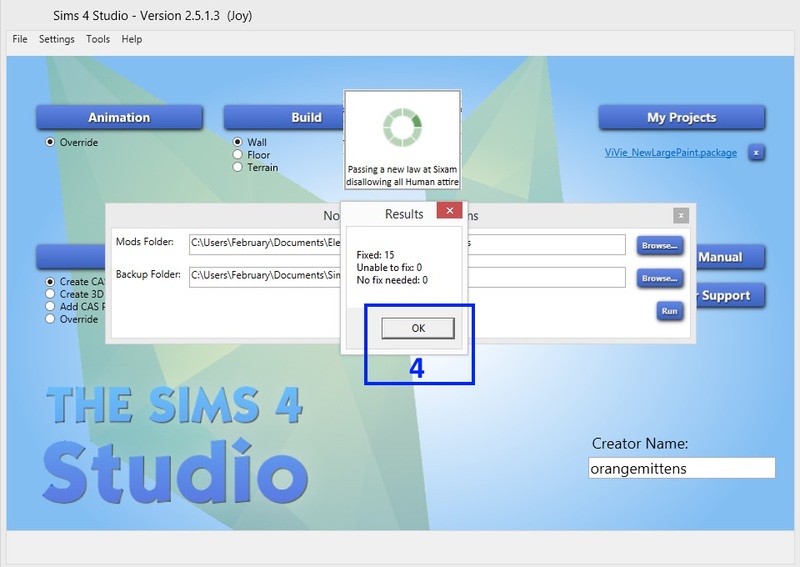 By default this will be your Sims 4/Mods folder and your Sims 4 Studio/Batch Fixes folder. When you have the folders how you want them click Run. 4. 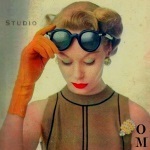 A box will appear saying a new law at Sixam is being passed that disallows all human attire. This will stay up while Studio scans your CC and changes the tags so that human garments will not show up on aliens there anymore. When that process is complete a second box will show you how many items were fixed. Click OK. This will cause the folder to show up where your backup was created. You can close that and you're all set to go. Thank you to Coolspear for the suggestion and extensive testing of this batch fixer. He has identified one or two strays that refuse to let themselves be fixed. These defiant items will be wrestled under control in an upcoming version of Studio but, for now, this will work on the majority of items.